NYU Abu Dhabi is preparing students to thrive in our ever-changing world and give back to local communities through Global Education and the Engineers for Social Impact program. Students travel to countries such as Sri Lanka, Thailand, and India to help design and build infrastructure that improves quality of life for local populations. In a recent video, students help build a sustainable home for a family in Jordan, in partnership with Habitat for Humanity. You can view the complete video via the NYU Abu Dhabi website here. 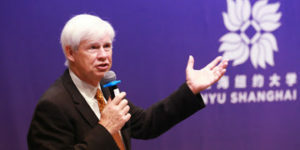 On November 17, the Volatility Institute (VINS) at NYU Shanghai hosted its third annual conference investigating the potential impacts of derivatives trading on market volatility, especially in China and the United States. Sponsored by China Financial Future Exchange and China Hedge Fund Research Center, this year’s conference discussed the dynamics of market volatilities in both developed and emerging economies where derivatives are increasingly being introduced to financial markets. 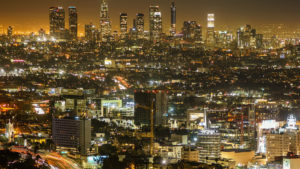 The conference received more than 100 submissions from researchers all over the world ranging from asset pricing, corporate finance, market microstructure, capital markets and international finance, of which eight were selected for presentation and discussion and five more were showcased in the poster session. “China is changing. Over the past three years, its financial markets have become bigger and more open; awareness of financial risk has also been increasing among policymakers and the public,” Wang said, adding that advances in FinTech, Artificial Intelligence and blockchain technology have profoundly changed the financial industry and central banking. “There are no shortages of intriguing policy and academic problems for research,” he said. Wang Jiang, Mizuho Financial Group Professor at MIT, delivered a keynote speech at the end of the morning discussion, explaining the “dark side” of circuit breakers as a means to reduce excessive volatility and improve price efficiency. By comparing the practices of circuit breakers in the US and China, Prof. Wang advised policymakers to beware the dangers of using historical data to estimate the likelihood of circuit breakers being triggered after implementation. In the afternoon session, Nobel Prize laureate and NYU Professor of Finance Robert Engle, on his third appearance at the VINS annual conference, discussed SRISK — the capital shortfall a financial institution needs to raise in order to function normally during a crisis. Using several relative measures, Professor Engle explained the current and historical SRISK in global and Asia monitored by VLAB of NYU Stern School of Business. Following Professor Engle’s keynote speech, a panel discussion addressed heated topics surrounding derivatives and market volatility, moderated by Zhou Xin, Executive Director of VINS. Five leading financiers and scholars offered their insight on the development and prospect of derivatives in Chinese financial markets. There’s a flurry of activity behind the large glass doors of the Madrid meeting room in Etihad Cargo’s head office in Abu Dhabi’s Masdar City. The bright afternoon light streams in through large picture windows as students from New York University’s degree-granting campuses — eight from NYU Abu Dhabi, three from NYU Shanghai, and one from NYU New York— prepare to present interactive applications and product prototypes to senior Etihad Cargo officials. A mechanical whir occasionally punctures the chatter in the room as a small, box-shaped robot with Etihad Cargo emblazoned across the top in gold letters moves across white tables in the center of the room. HoloCargo, a 3D-scanning and virtual reality system that can help loadmasters build pallets of boxes in a 3D environment. 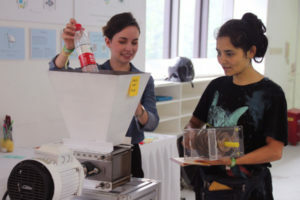 The prototypes are the end result of an intensive four-week summer course taught at NYU Abu Dhabi by Christian Grewell, adjunct assistant arts professor of interactive media arts at NYU Shanghai. 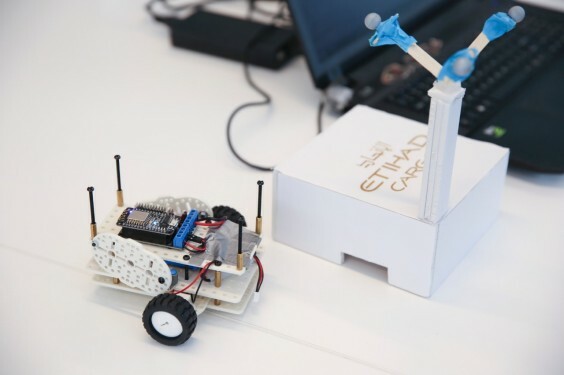 Students enrolled in the Driving Genius course are taught the ins and outs of robotics, programming, and design principles, combined with the technical know-how needed to develop products that cater specifically to the airline cargo industry, which is where Etihad Cargo stepped in as a course partner. 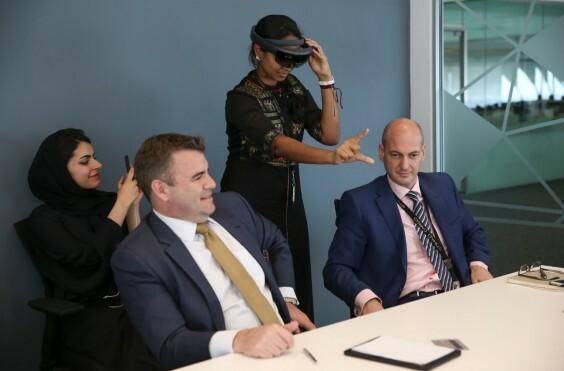 The students get to use augmented reality, virtual reality, and sensory technology and also learn how be entrepreneurs, drawing up successful business plans for their products. Students were given access to Etihad Cargo’s warehouse operations so they could understand how things work and identify processes where efficiencies could potentially be improved. They were then split into three groups and tasked with designing and developing feasible tailor-made solutions using virtual technology. With augmented reality and virtual reality technology becoming more affordable and accessible, students in the course are also taught to manage expectations — their own and the client’s — to figure out what works best for a company’s business model. Back in the Etihad Cargo meeting room, Grewell observes as the groups demonstrate their prototypes, occasionally chiming in with words of encouragement or offering bits of trivia. A final round of applause brings the presentations to a close and the students heave a sigh of relief as everyone shuffles out of the meeting room. It’s been an intense few weeks but Grewell emphasizes the need for a course like this as a bridge between classroom learning and meeting real-world corporate expectations. “I think this is a win-win for all parties when educators, students and organizations come together,” he concluded. By Deepthi Unnikrishnan, NYUAD Public Affairs; This piece comes to us from NYU Abu Dhabi’s Salaam blog and is available here. Modern Life in an Old City: Is Prague Becoming a Disneyland? How will Brexit Change Central Europe? The course meets once a week and is taught by 14 members of our faculty, each an expert on the topic they present. 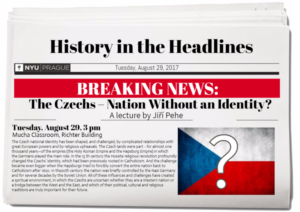 Lecturers include the former Czech minister of foreign affairs, leaders of the Vevet Revolution and the dissident movement against Communism, an architect at Prague Castle, a film historian and a jazz musician. 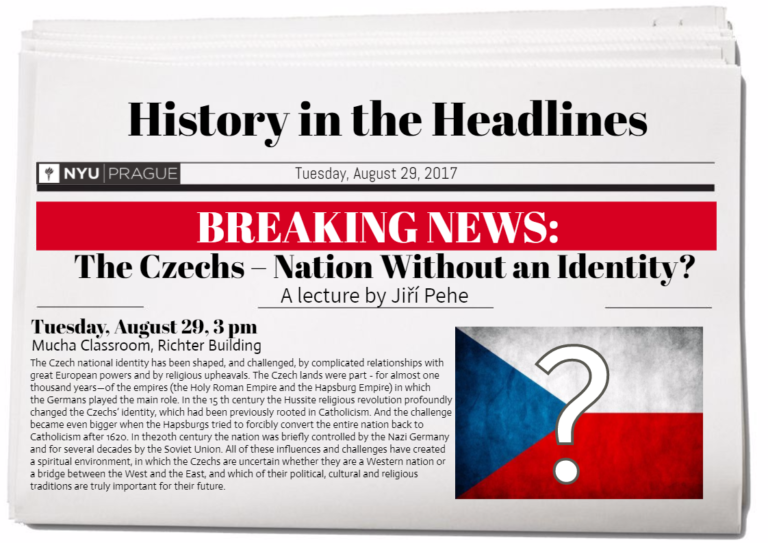 Seminars are overseen by the NYU Prague Director Jiri Pehe and Assistant Director of Academics Vanda Thorne. Students read and discuss academic articles in addition to the articles that the headlines come from. Does the article reflect reality? How do media report on hot topics – and how could they affect the opinions of the reader? 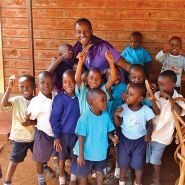 The 2-credit class is open to students of all majors and is designed to increase NYU’s affordibility as well as help students have a deeper understanding of the country and region in which they are studying. Students who haven’t signed up for the class are welcome to audit. This is a hot topic in the era of fake news. Other NYU global sites are considering their own versions of this project, which would create space for interesting inter-cultural analyses and discussions – not to mention more interesting headlines. Throughout a study abroad experience, students are challenged to look within. Upon arrival, their maturity and independence is tested. This occurs from the moment they are introduced into their new environment. They are pushed to navigate unexpected cultural differences, adapt to a different culture, and problem solve when necessary. This experience teaches students essential life skills which can later be transferred into their professional life. With this in mind, NYU Wasserman Center for Career Development and NYU Global Programs recently teamed up to host NYU Global Career Week. This week long event was filled with career development seminars and was hosted virtually and in-person. This event encouraged students to start thinking about how they can leverage their study away experience in their next internship or full-time position. 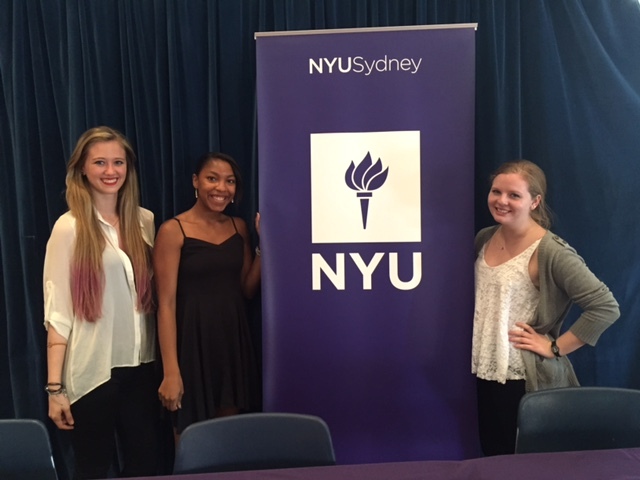 This past March, NYU Sydney hosted Allison Pirpich, Manager of Global Career Development, to led NYU Global Career Week on-campus. During this week, Allison hosted in-person seminars on a global job search, an U.S. job search, and Virtual Interviewing. Allison also hosted a lecture called, “Telling your Global Story,” to the academic internship course that showed students how to identify their skills and translate it to future, professional positions. These seminars showed students how their global experience can be translated to the experience section of their resume, examples in their cover letter, and answers to an interview question. Students learned the key to this process is making their study away experience relevant to the job description and needs of the employer. In addition to these seminars, Allison met with students in one-on-one coaching appointments. Students brought in a wide-range of questions from, “I have no idea what I want to do after I graduate. How will I decide?” to “How do I search for my next NY internship from Sydney?” These conversations gave students the opportunity to learn what resources were available and how to create a strategy for their next career-related goal. These meetings continued after NYU Global Career Week with virtual coaching appointments and drop-in hours. This event was accompanied by a Wasserman Global Peer, a student leader who was versed in resume creation, cover letter advice and knowledge of career development resources. This leader led a Resume & Cover Letter Workshop and was an in-person touch point for students throughout the entire semester. Students often study abroad with the idea of living and working abroad in the future. NYU Global Career Week showed students how to make the case that their experience abroad makes them a valued and competitive candidate. It is important to prepare students with the confidence to demonstrate applicable traits in post-graduation job applications and in the real world. Each semester, shortly after landing in Australia, NYU Sydney students retreat to a lesser-known corner of greater Sydney for a field trip. Most recently, these overnight excursions have been to idyllic Milson Island, on the Hawkesbury River. Field trips are an integral part of a semester at NYU Sydney, and Milson Island in particular is good fun. There are campfires and marshmallows, guitars and ghost stories. But there’s more than that. The start-of-semester retreat has two main aims. One is for NYU staff and newly-arrived students to get to know one another. It’s a bonding exercise. A second aim is for students to get a true taste of the Australian landscape: the curious wildlife; the grand sandstone; the sweeping waterways. The retreats forge connections in the great outdoors, among the kangaroos and kookaburras. They blend community and nature. During each semester, NYU Sydney students are offered an array of field trips. Some, such as the surfing trip to the northern beaches, are for all students. Others are for students of particular courses. For Global Media, for instance, students visit ABC TV to be in the studio audience for a live broadcast of the panel show Q&A. During field trips to Earlwood Farm, Professor Hamilton has taught Eco-Criticism students about experimental, eco-friendly farming she and others are practising right in the heart of suburban Sydney. Hamilton loves it when students hold her chickens. “Do you live in a hippy commune?” one student asked. No, she answered – even though she had to admit hers is hardly an ordinary house in the ‘burbs. Meanwhile, as an anthropology professor, Petronella Vaarzon-Morel is especially fond of field trips. “Participant observation is a hallmark of the anthropological method,” she says. With students of Anthropology of Indigenous Australia, Professor Vaarzon-Morel has visited the Kur-ring-gai Chase National Park to see Aboriginal rock art sites. On-site, the students were taught by Matt Poll, an Indigenous expert with immense knowledge of archeological sites. On these and other anthropology field trips, students are always particularly keen to learn about bush medicine and bush tucker. The effects of the field trips can be profound. For some, the visit to Milson Island has prompted a philosophical redrafting of the relationship of human beings and nature. This insight is reached, in part, thanks to the dramatic contrast between the Aussie wilderness and Washington Square. If Milson Island is largely about community and nature, it encourages many students to reconsider their conceptions of both.